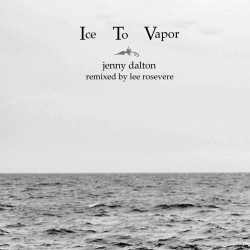 "Jenny Dalton is a singer/songwriter with a gifted voice who writes introspective and personal songs. On her most recent release, Rusalka's Umbrella, Jenny posted her lead vocal tracks online available for remixing. Lee downloaded the vocals tracks and created new pieces of audio art only using elements of Jenny's vocals, layering and manipulating her vocals in phases and rounds, rendering some almost unrecognizable."